Aesthetics is not the only purpose of design. The design of a product should enhance its usefulness and allow it to be affordable. Amit Krishn Gulati is a design engineer from Delhi who shared his ideas at the Kokum Design Centre, Porvorim in terms of design for healthcare, and explained how these goals are achievable using a walk-through of projects that his architecture and design studio, Incubis, has taken up. Amit is an alumnus of the National Institute of Design, Ahmedabad and teaches there as well as at the School of Planning and Architecture, New Delhi. Where the general public is concerned, not enough thought goes into understanding design or anticipating the outcome of it. As long as the terms ‘awesome’ or ‘innovative’ are attached to the product, it is deemed to be satisfactory. This is not, of course, the way most product designers follow through when creating a design. To achieve a product design that is substantially a contribution to society in every sense, a filter needs to be in place. The requirement of the product has to be evaluated. Extensive exploration and discussions must occur regarding the product and its design. One has to remember that evolution is not always equal to innovation. For a product to be truly innovative the design has to revolutionary. Furthermore, the product’s ability to add value to human life and change lives in a positive manner must be considered. ‘People are the centre of our work. But we have to keep going back to it. 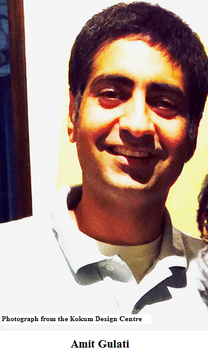 I think in the momentum of running practices we lose track of that very often,’ says Amit. Empathy is important, as is the stoking of imagination and experimentation. The scale of the product has to be considered, which will depend on the impact of the design. In other words, it can be a simple product that can be mass manufactured, or just one product of a massive scale (eg a bridge) that will serve a great number of people. It could even be a good design that allows you to manufacture in large numbers in a convenient fashion. Amit talks about the design of a baby warmer for which he was commissioned by GE Healthcare, a multinational company from the US. He and his team were eager to work in the healthcare industry mainly for the reason that most Indians who live in the countryside have no access to healthcare. India has one of the highest infant mortality rates, something that has been obfuscated by the powers that be as it reflects badly on them. Amit says, ‘The irony is that it took a large multinational company from the US to come to India and say we have to do something about this. It may not make a lot of money for us but it will give us impact.’ In the same way, people in rural India have no way of obtaining products that can preserve lives and improve the quality of life. The equipment needed to provide healthcare is too expensive since it is priced according to Western standards. If equipment is somehow available, there is lack of well-trained personnel. This is owing to doctors trying to maintain control over their domain and not allowing the training of paramedical teams that might lessen their significance. Although most of the work can be carried out by paramedics and people trained in practical aspects with the guidance of a few doctors, the truth is that those few doctors are not available in villages. The baby warmers made in the US cost in the range of 2 to 10 lakhs depending on the quality. Amit and his team were not about to take away anything from the quality of the baby warmer to make it more affordable. The goal was to improve it while keeping the price low. Other considerations were that the product would be subjected to rough handling; there would be the issue of sanitation and hygiene – the machine had to be uncomplicated in structure so as not to trap dirt and bacteria; scarcity of energy to run the machine; and simplicity of use, such that a reasonably trained person would be able to use it. The value of aesthetics comes in with the subliminal message that the product is a good one because that of how it appears: a nurturing and safe environment for the baby in the case of the baby warmer. Many models were created and evaluated for cost, with input from a multidisciplinary team of designers, engineers, etc. ‘A lot of design happens through serendipity, it is not intentional,’ says Amit. Originally, ninety-nine percent of warmers were in the north-south configuration. These baby warmers posed a problem when it came to accessing the baby and the distribution of heat over the baby was not even. The team at Incubis changed the position of the warmer to the east-west direction and this small switch resolved the previous problems while also making way for people to use one baby warmer effectively for three babies at a time, as is wont to happen in India. There were icon based controls so that language would not be a concern in usage. The machine obtained an FDA (Food and Drug Administration) certificate last year. ‘Interestingly enough, hospitals in America want to buy this now. They don’t want to pay $3000 when something better is ¼ the cost,’ says Amit. Immediately after improving the baby warmer, GE Healthcare decided to make infant respiration systems to offer a complete package with the warmer. There were three issues with this product that was manufactured by other companies: they were expensive, complicated and used a great deal of power. All of these devices require an oxygen tank to function. The machine designed by Incubis used the oxygen from the tank to power it. It was cheaper and with the nurturing, caring aesthetics asked for by the client GE Healthcare. They ended up with two designs of the product, one more sophisticated than the other, and these machines are relevant in any market even though the starting point is India. 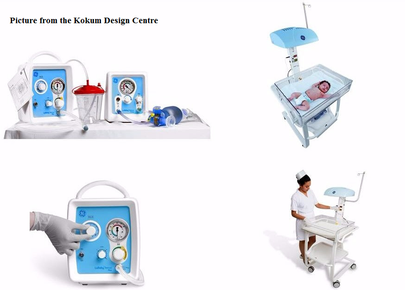 Incubis is now working on other devices in the neo-natal department including ultrasound machines. They have developed refrigerated carrying cases that can preserve vaccines for up to 12-18 hours depending on the temperature of the environs without the employment of energy. The architectural aspect of the studio has enabled it to design modular healthcare set-ups. 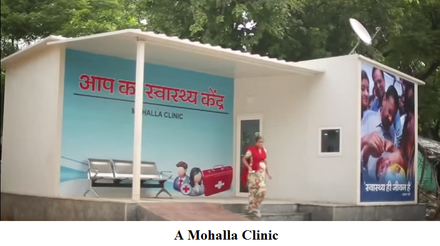 The Delhi government has employed Incubis to develop miniature hospitals and clinics that will help lessen the burden of patients on the healthcare system and are viable for the lower income group. If patients approach these places for minor ailments, the risk of infection in the bigger hospitals will decrease with the reduction in traffic. These designs are open source and can be used by anybody else. Now Incubis has designed polyclinics which are made from containers and prefabricated structures. They can be put together at a low cost and are adaptable to different areas. Recently they have built a three storey polyclinic which offers eye care, dentistry and minor operations. The scope for innovative design in Indian hospitals is enormous, from the stretcher used to carry patients to the waiting area for patients as they prepare to meet a particular consultant doctor. Amit envisions a space that will be akin to an airport while facilitating the functioning of hospitals. Incubis has gained much of its knowledge of patient experience from working in mainstream hospitals such as Dr Trehan’s Medanta-The Medicity, Gurgaon. Here they put their heads together with the doctors and created the OPDs (Out-patient departments) and large parts of the hospital. The experience of the doctors was integrated into the design rather than following the scripted rules of architecture. To make comprehensive improvements to the healthcare system in India, there needs to be a transformation of national character. We need moral integrity, respect for the dignity of our fellow human beings, a system of sharing our knowledge so it progresses to future generations, and the ability to work together as a team to bring positive innovation that can serve one’s countrymen and the world as a whole.